The West Fork Cabin Camp is your authentic Montana getaway for exploring, fly fishing, and hunting in the Greater Yellowstone Area. Fly fishing on the Madison River in the Yellowstone area is some of the best in the world. We offer cabins, RV camping and tent camping. Our cabins are fully outfitted yet still rustic. Contact us early for our RV camping as space fills up quickly. Come visit us on your Yellowstone adventure. Bring your food and an appetite for adventure, we’ve got the rest! We offer fully outfitted cabins, RV site hook ups, tent camping, raft rentals, and a general store selling ice, snacks, fishing supplies, and even a few surprises like fresh baked cinnamon rolls. We have 11 cabins you can choose from. All cabins have hot water showers, comfortable beds, and a kitchen furnished with utensils (pots and pans, dishes, etc.). You just have to bring the food. The RV sites are located right by the Madison River. RV sites include 30 amp power, water and septic. Several acres of developed camping and a bathhouse is also available to tent campers. The West Fork Cabin Camp is nestled at the edge of Beaverhead-Deerlodge National Forest in Madison County, Montana, just minutes from Yellowstone National Park in the heart of “Yellowstone Country.” From here you can access unlimited public lands and some of the most spectacular scenery and recreational opportunities in the country. 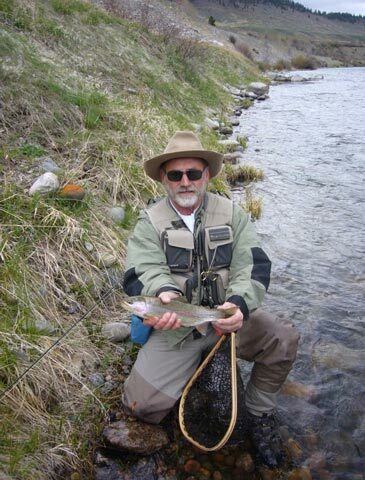 Fly Fishing in the Yellowstone Basin is a lifetime dream for anglers worldwide. At the West Fork Cabin Camp, you’ll have the Madison River a stone’s throw from your front door, as well as numerous other world class fly fishing options within an hour’s drive. Hunters, horseback riding, ATV touring, hiking, and wildlife viewing will lure you back year after year. We had a wonderful time at West Fork. Our family has tent camped for a long time and in many places and this was by far the best facility we have ever been to. The sites were all level, rock and twig free, and spacious. You guys are wonderful hosts and kind and caring. You have a knack for making people feel like they are part of the family. Thank you for all you did to make our reunion unforgettable. Had a great time visiting and staying with Chuck and Barb at the West Fork. They are really great people who seem to enjoy what they do. We love the cabins and the cinnamon rolls. Always rest well and love the proximity to the river. Five of us shared Cabin 7 for a week in late July, Early August...a great place for family to reconnect with each other and the environment. Great location in terms of fishing and access. Stayed here for a couple of days to fish the Madison and the West Fork of the Madison. Perfect proximity to both..the two cabins we rented were affordable, cozy, and clean. The West Fork Cabins, in operation since 1959 — and under the ownership of Mark and Sue Allen for more than a dozen years — provide everything fly fishermen and others looking for an authentic outpost to the public lands of Montana, Idaho and Wyoming need for an extended stay. Deluxe RV sites and fully outfitted cabins are available from May to November right on the banks of the Madison River at the base of Beaverhead National Forest in Cameron, Montana. Cabins can book up really fast in the summer so make your reservation today! 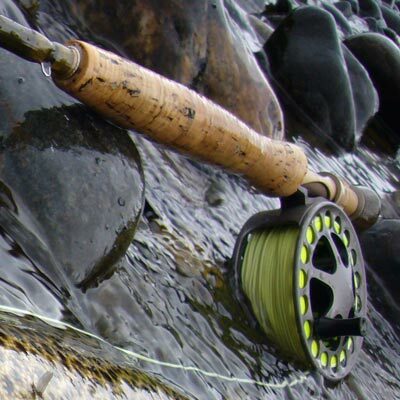 West Fork Cabins has a fly shop where you can find tackles, hooks, lines, and more. You can also buy food, candy, ice cream, and drinks from our convenience store. There will be freshly baked cinnamon rolls each morning at the c-store! The on-site staff will answer any questions you have. You can walk from your fully stocked cabin to the banks of the famed Madison River and wade fish from sunrise to sundown. We also rent rafts with fishing platforms and oar rigs for those who want to drift the river. 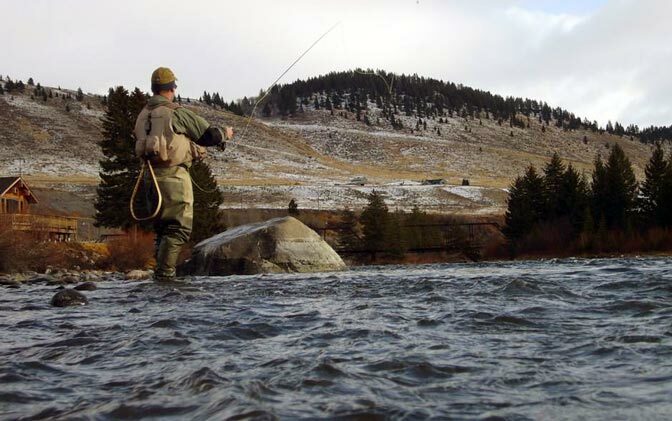 Within 30 minutes of your cabin you can fish 13 of Montana’s finest streams and 13 lakes. The Yellowstone, Gallatin, Henry’s Fork, Ruby, Gibbon, and Firehole are all within an hour’s drive. The early season and pre-run off season on the West Fork of the Madison offers superb streamer fishing, so don’t wait until summer to book your fishing cabin. This world class recreation destination offers sights and activities for just about everyone. Hunting, hiking, horseback riding, sightseeing, ghost towns, photography, bird watching, camping, swimming, boating, whitewater rafting, canoeing, cycling and more are all out the back door. Experience the trip of a lifetime on the Madison River! You can learn how to fly fish, take a guided day trip on a drift boat, or land the lunkers of your dreams on dry flies. Take in the beauty of the Madison River and go fishing from your raft. You can rent a raft as a group and do a self-guided trip along the Madison River. Virginia City is a historical old-west town not to be missed on a visit to southern Montana. Explore the city and play golf in the high desert of the Rocky Mountains under endless blue skies. Explore Yellowstone National Park with its legendary geysers and wildlife viewing. You’ll see all sorts of animals – bighorn sheep, moose, elk, deer, birds, and more. Sit back in your chair on the porch of your private cabin and take in the views, the sounds and fresh air around you. The West Fork Madison River, Montana, is the backdrop for your daydreams.